This article was written by Luana Arturi with contributions by Jamie Coudeville, Marine Perot, Saloni Gajjar, DJRiter, and Aimee Hicks. Edited by DJRiter. Television is a fickle animal. Some performers know they are lucky when they get a hit show early in their careers. Some will tell you being an actor is hard work that takes years of love, sweat, tears, and dedication. They often work for years, building a solid resume of characters. Performers consider themselves successful because they have been steadily working and use each successive role to hone their craft. They are among a group known in the industry as “go to” performers that writers and producers know will give them quality work. They often play supporting characters that serve as the foundation of great shows. There is great satisfaction in seeing such performers get the opportunity to shine, to find that magic moment, the combination of the perfect role on the perfect show. 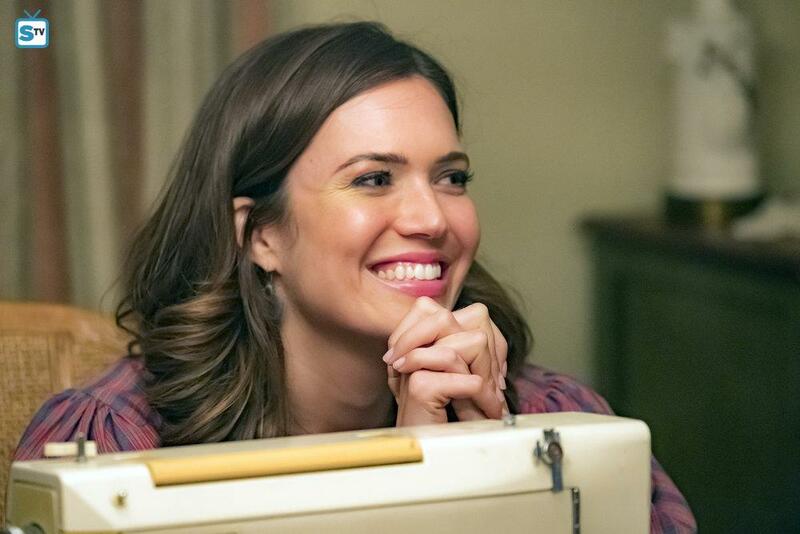 One prime example of such a performer is Mandy Moore, (Rebecca Pearson) of NBC’s family hit, This is Us. Moore has been around the industry for a while now. She made us hate her as Lana on The Princess Diaries or cry our eyes out as Jamie on A Walk to Remember. But perhaps, nothing could prepare her for what was to come when she took this role on This Is Us. The show has been a phenomenon from the beginning and her part as the Pearson family matriarch has been praised from the first episode. It is surprising that she has not won a Performer of the Month title before now. However, her emotional performance in Superbowl Sunday (2x14) left no doubt she deserved the title as Spoiler TV Staff Choice Performer of the Month for February. There are not enough words to comprehensively state how amazing she was in this episode but trying is absolutely necessary. This was a key episode of the show, finally explaining and showing a moment that fans have been anticipating and dreading for a long time. Playing a character in so many different stages of life, portraying a person’s growth throughout a lifetime is no easy feat, and yet she makes it seem effortless. She makes us forget it is an interpretation we’re watching and lets us get lost in her story, this beautiful family’s story. From the beginning of the show, she’s made us go on a rollercoaster of emotions following Rebecca’s journey, making us get to know this amazing character that sometimes feels all too real, with all her weaknesses and her amazing strength and wisdom. This was THE pivotal episode of This Is Us, the episode that finally explains how the Pearson family is devastated by the death of patriarch Jack Pearson (Milo Ventimigilia). As the heart and the bedrock of the Pearson family, how they would react and how they would move on would depend solely on Rebecca. 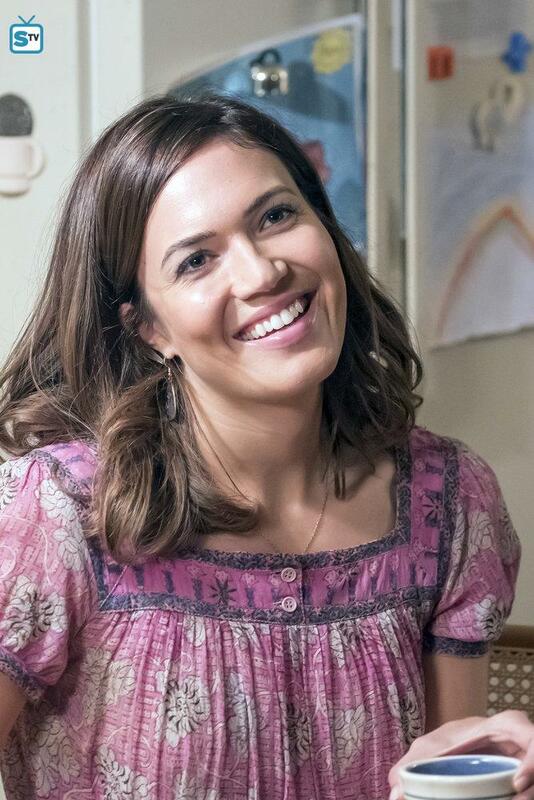 It was a heavy responsibility for the character to bear and the responsibility of making those reactions believable rested solidly on Mandy Moore’s portrayal and she more than delivered. The episode jumped right into the action. When Rebecca is awoken by Jack she immediately realizes the house is on fire, and as any mother would, her first priority was her children. Getting the kids out of the house was the most important thing for her, never considering her own safety. When the Pearson family makes it outside Rebecca clings to her children, unwilling to let go of any of them. They’re so close to safety but then Jack decides to go back inside to get the dog. Actors are often called upon to react to terrible situations and often dig deep for the proper emotion. Perhaps nothing can be more terrifying than the thought of losing loved ones in a fire. Based on her performance, one can only imagine the horrors Moore called upon in order to deliver the depth of Rebecca’s desperation and fear that grew with every second that Jack was still inside the house. The longer it takes the more convinced she is that he won’t make it out. She goes from wanting to run inside because she still has hope to holding on to her children to comfort them. And then when Jack finally makes it out Rebecca really goes from one emotion to the next. From despair to shock to relief. This may not be the scene that everyone remembers after the episode but it was definitely a very impressive performance by Mandy Moore. 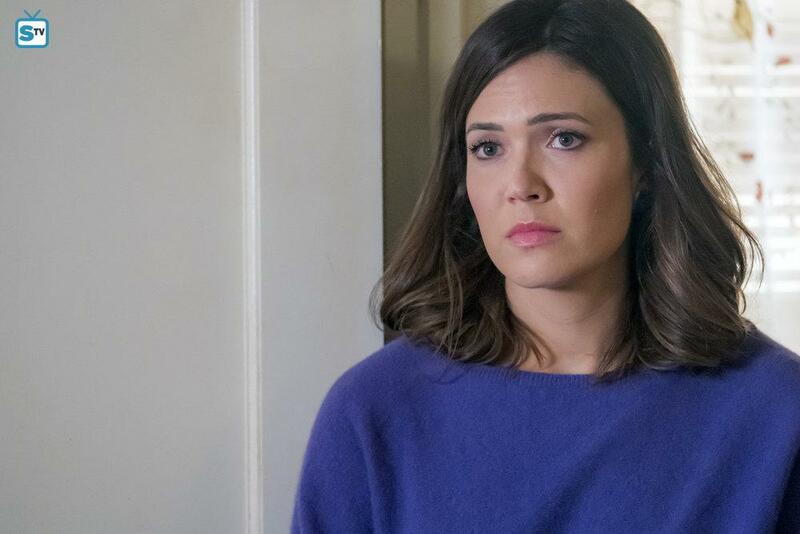 The following scenes at the hospital seem to be a representation of how much acting range Mandy Moore can display within a few minutes. 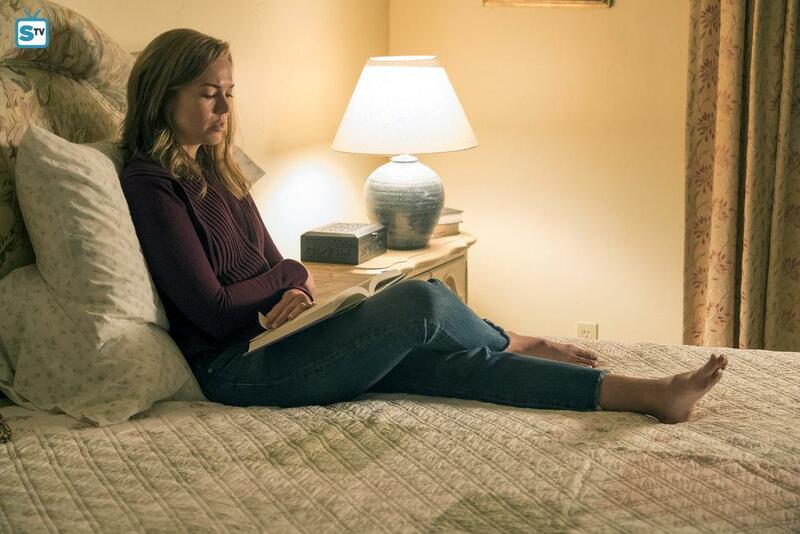 After talking to Jack about the night’s events, Rebecca gets on the phone with a hotel to find her family a couple of rooms for a few nights. She is in Mom mode. She’s got things to get done and she is not messing around, she doesn’t have time for that. Moore plays a Rebecca determined to get what she needs for her family and is aggravated with the person on the phone for not being as efficient as she expects them to be. The camera work in this scene is as important as Moore’s acting as her character gets in and out of focus to bring the viewer's attention to what is happening in the background and emphasize that Rebecca is not noticing any of it. Again, she is busy and Moore plays her focused very well. Her eyes are not looking at anything specific, she is not paying attention to anything else than the task at hand. After the hotel, she calls Miguel and her voice changes. Now Moore shows that Rebecca is relieved that Jack and the rest of her family are okay, and reassures her kids while also expressing concern over Kevin being MIA. The camera stays close to Moore’s face as she walks over to a vending machine to get a candy bar. Her facial expressions keep getting softer and softer as business is being handled and relief can creep in. She smiles at the fact that the machine is out of the snacks Jack requested, and Moore’s body demeanor loosens up to show that Rebecca is relaxing. She grabs a candy bar, turns around to the Doctor and is completely oblivious to the sound in his voice or the expression on his face. She jokes about being caught red-handed and thinks he wants to talk to her about Jack’s pain medication. Moore’s face then gradually changes as the Doctor talks to her and tries to explain to a Rebecca in complete denial that Jack just died. She starts by blankly looking at him as if Rebecca’s brain is not registering what the Doctor says. She squints, looks around, incredulity washing over her face. Moore bites in the candy bar with a look that seems to say “Odd, this doesn’t make any sense.” When she comes to her senses, she tells the doctor that it must be a mistake because they “were just here for a burn on his arm.” As she is progressively understanding what the Doctor is telling her, Moore has Rebecca getting suddenly mad at him, even scared, as if he is a suspicious individual who wants her harm. She is shaking off her anger as she walks into Jack’s room to tell him what just happened. And there, Mandy Moore’s face expresses a wholly different feeling. Again the show put Moore at the heart of the emotion of subsequent scenes, especially in the powerful moment viewers saw Rebecca’s reaction to seeing her husband dead instead of showing us a lifeless Jack Pearson. She was simply stunning. Her facial expressions, especially, conveyed a range of emotions. The way she broke down and let herself completely immersed in the role is why Moore has grown into a prolific actress with this role. That must have been a tough scene to shoot but she nailed it. Moore expertly shows her character's strength and growth in the next scene where Rebecca leaves the hospital and tells Miguel that Jack is dead. Rebecca is in such a hard spot here. She is trying to stay strong for the kids but you can tell that internally, she is struggling to keep it together. And you can tell because Moore flickers in the scene between nearly falling apart to trying to maintain her composure as she tells Miguel about his best friend’s death. Miguel, naturally, begins to sob but Rebecca cuts him off because she knows she cannot afford to do the same because she has to tell her children next. Moore stands out because her dialogue delivery here is biting and to-the-point but she manages to still make it emotional and poignant. Then, she performed what had to have been an incredibly difficult scene to shoot, telling her children that their father was dead. It was a short but powerful and impactful scene and doesn’t mean the acting is any less impressive. The fact that Moore doesn’t even need lines to make this scene emotional really says it all. She spoke volumes with her expressive face and body language. Afterward, Rebecca just needs a minute to herself and she takes a drive to their house. Her breakdown was already shown in a previous episode, but now that it’s finally in context. The brief scene becomes even more emotional. In a gut-wrenching scene, Rebecca finds the necklace among the items that Jack saved and realizes it was the reason that he died. But it’s also one of the few items of his that she has left since most of it was destroyed. It’s all she physically has left of her husband and that’s why she clings to it. She keeps it as close as she possibly can, keeping Jack close. Moore barely moves in this scene, but every detail from the way she holds the necklace to the tears in her eyes to how she closes them and holds on to the necklace holds so many emotions. It is a profound moment of acting by Moore where the audience gets to see the full scope of how the events of the night have permanently changed Rebecca and her life. Mandy Moore is a one of a kind actress. In almost any interview with any of her co-stars on any project, she has ever been on they praise her to no end. There is literally not a bad word spoken about her anywhere by anyone that personally knows her. It’s easy to see why she exudes kindness and generosity in interviews and through social media. Accounts of fan encounters are always filled with nothing but glowing praise. She cares about those she works with and her fans. She will go out of her way to help people and to reassure them. She is so brilliant as Rebecca Pearson because in real life she is a genuinely good person who has a very maternal energy despite not yet being a mom in real life. Moore is the only actress who could do this very rich and strong woman justice and her performances are always stunningly beautiful. She knows how to hit the emotional beats, but she is also really funny with great comedic timing in the lighter scenes. And she is a massively talented singer. That is one thing about Mandy Moore that the show needs to capitalize on more. She has a stunning voice and whether it’s put on display in an old album or here on This is Us she always comes off sounding angelic. She puts a lot of time and effort into making Rebecca Pearson feel real and bring her to life from the brilliant words written for her. She breathes life into this character each episode and makes the audience connect with Rebecca and root for her. 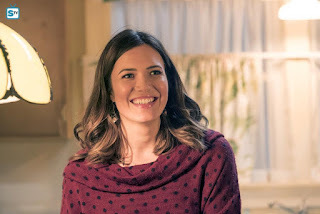 From the pilot, Mandy Moore has been the foundation upon which the show and the Pearson family stand. This episode was truly hers to shine and through her incredible performance, she showed us what a strong and resilient woman Rebecca Pearson is. 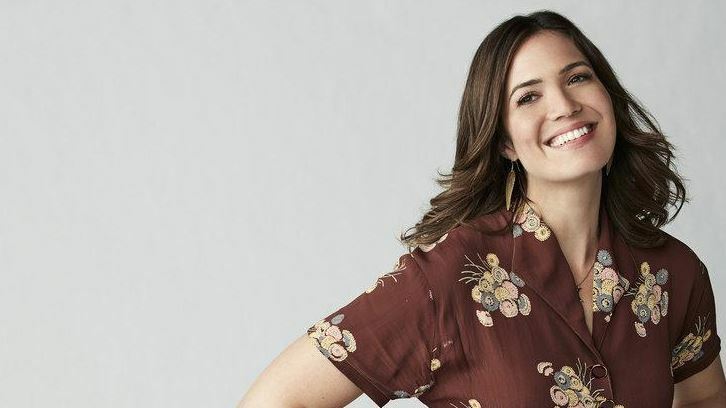 She has added so much to the amazing experience that is This Is Us, she’s made us laugh, cry (a lot) and along with some brilliant writing, she has made us understand so much about life, love, and death. She’s given us but a glimpse of Rebecca and the knowledge that there’s so much more to come from both the amazing woman and the amazing actress who portrays her. For these reasons and so many more, Mandy Moore was Staff Choice Performer of the Month for February. We’ve attempted to do her performance justice here, but we would love to read what your favorite moments were in the comments below.